Wondering what to do with leftover cranberry sauce this Thanksgiving? 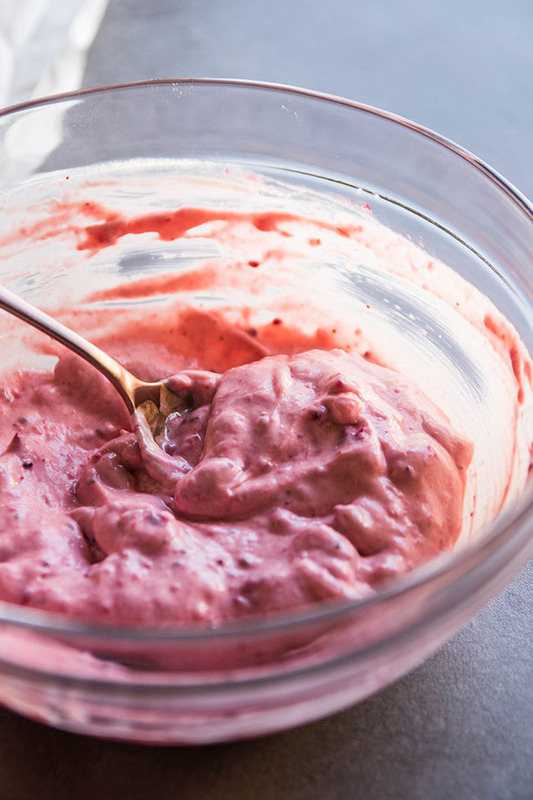 Throw this easy cranberry mayonnaise together! The perfect accompaniment to a simple turkey sandwich. Vegetarian. It’s called Q’s. It’s in Illinois. And they make the best sandwiches in the world. They make this sandwich. It’s just turkey. And veggies. And this cranberry mayonnaise. When we moved to New York, it meant saying goodbye to the restaurant. So I set out to recreate this marvelous mayonnaise on my own. 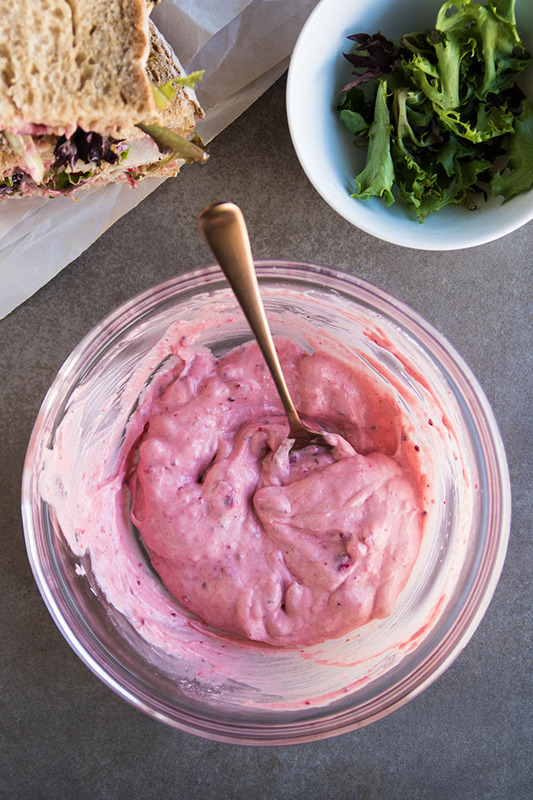 And I’m pleased to say that this cranberry mayonnaise recipe is pretty dang close to the original. BONUS: It’s the perfect way to use up leftover cranberry sauce from Thanksgiving or Christmas! I slathered it on a turkey sandwich with lettuce, tomato, a lil’ mustard, and some sharp white cheddar cheese. 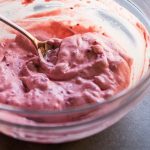 The easiest cranberry mayonnaise – the perfect way to use up leftover cranberry sauce from Thanksgiving or Christmas! Whisk all ingredients together in a small bowl. 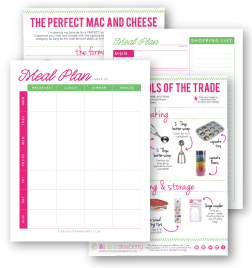 Store in an airtight container in the fridge for up to a week. 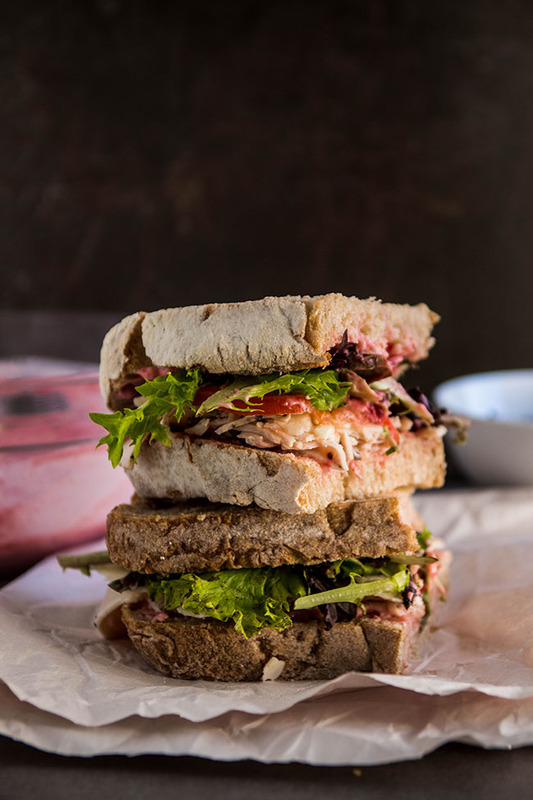 You may need to adjust this mayonnaise mix to suit your cranberry sauce – just give it a taste when you mix it together and add an extra pinch of ingredients as necessary! 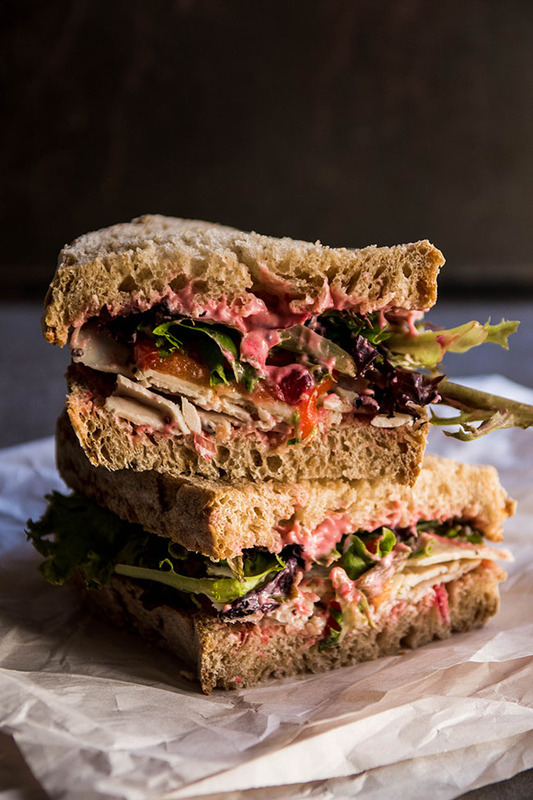 I recommend this cranberry mayonnaise on a turkey sandwich with my favorite easy crusty French bread, white cheddar or brie cheese, and plenty of fresh greens. You could also use it with slow cooker shredded chicken sandwiches if you don’t have leftover turkey! Hi Kay, how did it turn out? sorry, but this tasted awful! i tried just a can of whole berry sauce and 1/2 cup of mayo and it was great! I just googled cranberry mayo to recreate the Q’s sandwich on the challah I made and found that you had already done it!! Thanks, Jessie! I hope you are doing well and thanks for your great blog post! Ahh! I miss Q’s so much! Thanks, Sarah – so happy you found the site and hope you’re doing well!! Is this Galesburg in IL? Thanks for the recipe. It’s Canadian Thanksgiving here (we had our turkey yesterday) and I just made panninis with it. Turkey, stuffing and cranberry mayo on herb and garlic focaccia with gravy on the side for dipping. They were a big hit. I’m so glad you liked it! Thanks for letting me know how it turned out! Omg I went to a restaurant this afternoon and the sandwhich I ordered consisted of honey wheat bread, turkey, lettuce, tomatoes, cucumber, bean sprouts, and cranberry mayonnaise. My new favorite sandwhich ever! That sounds amazing! I’ll definitely have to try that sandwich combo. next time I make this mayonnaise. The restaurant I used to work at made turkey paninis with just turkey, cheddar cheese, and cranberry mayo. Other restaurants just don’t even compare. Thank you for this recipe! !